Graphene is a fairly simple-looking material on the face of it – carbon atoms arranged in a honeycomb lattice stretch out in a plane, forming a two-dimensional carbon sheet with a vast range of possible applications. In reality, however, graphene tends not to be so orderly. Defects in graphene come in the form of extra atoms and molecules bonded to the sheet’s surface or woven into the lattice, missing carbon atoms, and variations in carbon isotopes – forms of carbon atoms that have different numbers of neutrons in their nuclei. Dr Ganesh Balasubramanian and his research team noticed that the effectiveness with which graphene carries heat – or its ‘thermal conductivity’ – can vary depending on the concentrations and distributions of different isotopes of carbon in the lattice. When certain arrangements of carbon-13 were present rather than pure carbon-12, the team found that the thermal conductivity could be greatly reduced due to enhanced scattering caused by vibrations in the lattice. Reducing this thermal conductivity would allow graphene to be used as a highly efficient insulator. Other applications could include sensors for high-frequency communication systems with little outside interference, as well as coatings for wires in analogue circuits, which would allow currents to be controlled more precisely. The dilemma faced by Dr Balasubramanian and his colleagues was that the carbon-13 isotopes could be arranged in a vast variety of ways within the lattice, each of which reduced the thermal conductivity by varying amounts. The team needed a way to find the one optimal arrangement that would reduce thermal conductivity the most – a task that would take far too long should they test each arrangement one by one. Dr Balasubramanian likens the search for an optimised material to buying a smart new shirt. ‘We try it and if we like it, if it fits well, if it looks good on us, we think about buying it,’ he explains. ‘Even if we really like it but it doesn’t fit us, we have to let it go or make a compromise. On the contrary, if we spend a little more, hire a tailor to select the fabric and stitch it according to our liking, the desired objective of being well-dressed is achieved.’ With previous technology, the challenges faced by material engineers have been comparable to those of a tailor. ‘We have to make trade-offs when choosing the best material for the job – it may not have all the desired properties, but potentially checks the boxes on more items than a competing material,’ he adds. ‘The current state-of-the-art techniques are able to probe materials and subsequently predict and correlate relevant properties to the material composition and atomic structures. Thus, given a pure or engineered material, its properties can be measured and computed. But like with the tailor, this trial and error approach is expensive.’ Dr Balasubramanian’s team would need to use more sophisticated techniques to develop a graphene structure with an arrangement of isotopes that would optimally reduce thermal conductivity. They achieved this with an algorithm that uses the principles of Charles Darwin’s theory of natural selection. Charles Darwin’s elegant theory offers a watertight explanation of how species adapt and survive in the natural world. If two parents survive long enough to reproduce, their offspring will carry both of their successful characteristics on to the next generation, and the species improves as a whole. Occasional genetic mutations will sometimes improve the characteristics of offspring further, but will otherwise be swiftly bred out. 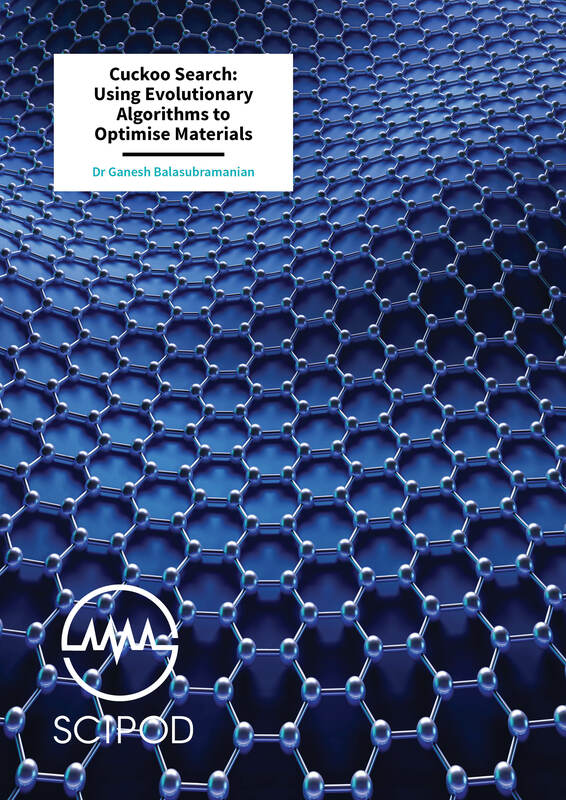 Dr Balasubramanian and his team noticed how the foundations of this principle could be useful in establishing an algorithm that would help them with their graphene quandary. Enter the genetic algorithm. 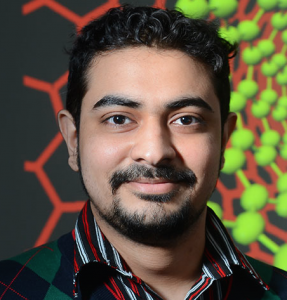 In Dr Balasubramanian’s study, an initial population consisted of simulated samples of graphene with different arrangements of carbon-13 isotopes. The genetic algorithm ‘bred’ these samples by creating subsequent generations of graphene samples that displayed isotope arrangements characteristic of their ‘parent’ samples. The prominence of each parent’s arrangement in their offspring depended on how well it reduced thermal conductivity in graphene – comparable to how genetically favourable parents are more likely to pass on their traits. As the generations progressed, the team’s algorithm introduced ‘mutations’ in the form of isotope arrangements, which were not present in any of the original samples. If these mutations proved to reduce thermal conductivity further, then the algorithm would pass them on to further generations – otherwise, they would soon disappear. 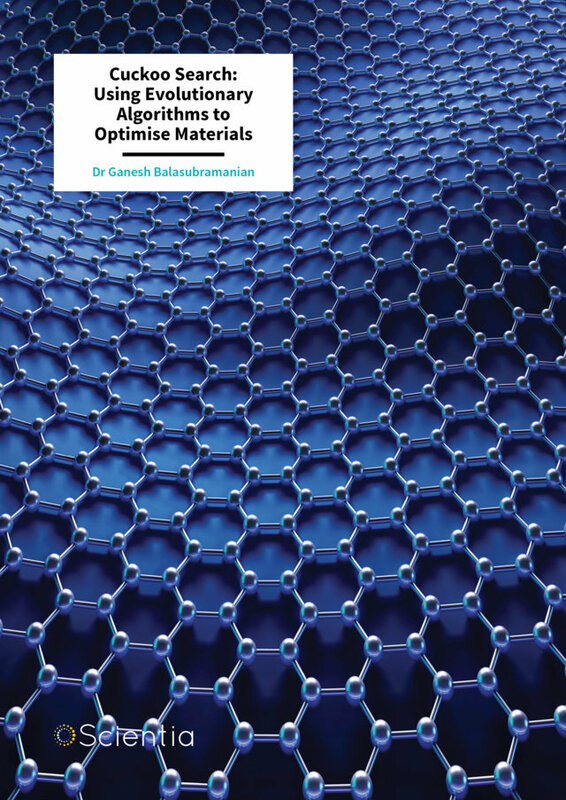 Using their genetic algorithm, Dr Balasubramanian’s team managed to successfully engineer simulated graphene structures that were optimised to reduce thermal conductivity, which could prove invaluable when producing low thermal conductivity graphene in the lab. Over many generations, concentrations and distributions of carbon-13 isotopes that were less desirable gradually disappeared, until a material emerged that was optimised in displaying its desired property. However, the success of the algorithm would have its limits. 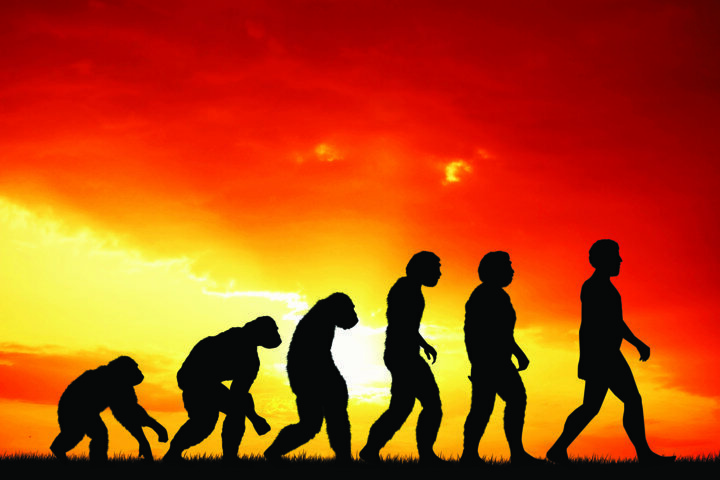 In a later study, Dr Balasubramanian was faced with a new challenge in optimisation, which could not be easily solved using the elemental principles of natural selection. Metal alloys have vital and extensive applications in our everyday lives. Alloys containing just two metals are easy to optimise by fine-tuning the proportions of both elements until the properties of the material can no longer improve. However, throw more elements into the mix, and things become much more complicated. Alloys containing three metals can display properties that are more useful than those of simpler materials, but it is far more difficult to find the exact proportions of all three elements that will optimise a certain property. With four or five different metals, the task becomes virtually impossible. Dr Balasubramanian and his team devised a method to tackle this challenge using more refined evolutionary principles. In this study, the researchers simulated an alloy containing five separate elements. Depending on the proportions of each of the five elements used, the resistance of the alloy to breaking apart under tension – its tensile strength – can vary widely. The team wanted to find the perfect recipe to optimise tensile strength in the alloy, but even using their genetic algorithm, this would have taken far too much time and computing power. The team needed an even more sophisticated algorithm. To achieve this, his team’s latest work would take inspiration from the evolutionary behaviour of one particular bird. The female cuckoo’s instinctive disdain for devoted parenthood has driven her to a particularly devious egg-laying technique. She finds the nest of an altogether different species in which to lay her single egg, and never visits again. When the egg hatches, the cuckoo chick will push all of the other eggs from the nest, ensuring it has the undivided attention of the host mother. The trick is that cuckoos have evolved to lay eggs that realistically mimic those of other species. 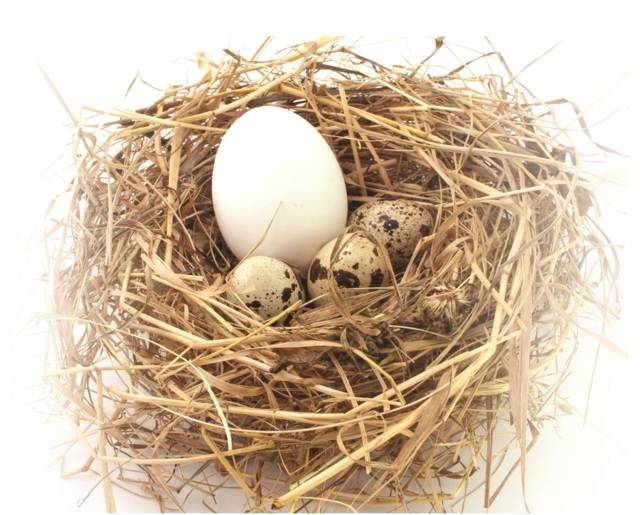 If the egg appears even slightly out of the ordinary to the host mother, she will either evict the egg from the nest, or build a new nest altogether. In evolutionary terms, the genetically sub-par eggs of the parent cuckoos would not then be passed on to the next generation. The Cuckoo Search algorithm employed by Dr Balasubramanian’s team exploits a similar technique. It selects groups of simulated alloy samples to act as the ‘nests’ of host mothers, and then plants a ‘cuckoo’ sample into the nest. If this new sample displays a higher tensile strength than the other eggs, the original nest of samples will be eliminated – comparable to how a successful cuckoo chick will evict the other eggs in its host nest. The cuckoo sample will then be included in a nest of its own to be introduced to further cuckoo samples, and the process repeats. If tensile strength is not improved, however, the Cuckoo Search algorithm will eliminate the cuckoo sample, and the nest will pass on to the next generation, until an optimised sample is determined. Dr Ganesh Balasubramanian completed his PhD in Engineering Mechanics at Virginia Tech in 2011. He then worked as a postdoctoral research associate in Theoretical Physical Chemistry at the Technical University of Darmstadt in Germany, before becoming a faculty in Mechanical Engineering at Iowa State University. Dr Balasubramanian entered his current position as Assistant Professor in the Department of Mechanical Engineering and Mechanics at Lehigh University in 2017, where he continues his multi-disciplinary research. He has a wide variety of research interests within engineering, ranging from nanoscale transport and mechanics, to advanced energy and structural materials. Some of his recognitions include the ASEE Outstanding New Mechanical Engineering Educator award, Summer Faculty Fellowships at the Air Force Research Lab, and the Young Engineering Fellowship from the Indian Institute of Science. G Balasubramanian (editor), Advances in Nanomaterials: Fundamentals, Properties and Applications, Publisher: Springer, 2018, ISBN: 978-3-319-64715-9. M Davies, B Ganapathysubramanian, G Balasubramanian, Optimizing isotope substitution in graphene for thermal conductivity minimization by genetic algorithm driven molecular simulations, Applied Physics Letters, 2017, 110, 133107. A Sharma, R Singh, P K Liaw, G Balasubramanian, Cuckoo searching optimal composition of multicomponent alloys by molecular simulations, Scripta Materialia, 2017, 130, 292–296. H Malekpour, P Ramnani, S Srinivasan, G Balasubramanian, DL Nika, A Mulchandani, R Lake and AA Balandin, Thermal conductivity of graphene with defects induced by electron beam irradiation, Nanoscale, 2016, 8, 14608–14616.